Dreading the early morning chaos that signals the start of the new school year? 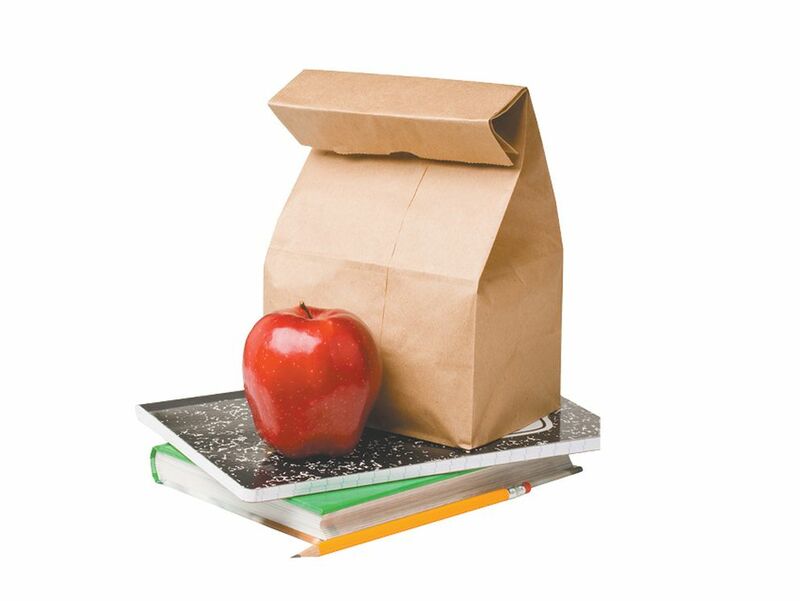 Bring a little order to you day by packing lunch boxes with quick, efficient and nutritious options. Here are some simple suggestions for getting junior out the door on time with a lunch they won't want to trade away. Important note: Check with your child's school or teacher to see if there are any classroom allergies and/or any foods that aren't permitted. Preheat oven to 350°F. Roll out prepackaged, or homemade, pizza or crescent dough on a lightly floured surface to form a large rectangle. Spread pizza sauce over rectangle, leaving a 1-inch sauceless border. Sprinkle toppings as you'd like (pepperoni, cooked sausage, cooked ground meat, mozzarella cheese, vegetables, etc.). Starting from the long edge, roll dough and press seam to seal. Cut into rounds and place on a lined or greased baking sheet. Bake for 12-15 minutes. Wait to cool, then wrap individually in plastic wrap and place in freezer safe bags. Stick in the freezer to have at hand on stressful mornings. If your child has microwave access, they can choose to heat them, otherwise the pinwheels should thaw by lunchtime. Preheat oven to 350°F. Roll out prepackaged, or homemade, pizza or crescent dough on a lightly floured surface to form a large rectangle. Cut rectangles into 5×6-inch squares, shape into circles if wanted. Place pizza sauce and fillings as you'd like (pepperoni, cooked sausage, cooked ground meat, mozzarella cheese, cheddar cheese, cooked ham or chicken cubes, etc.) in middle of dough. Fold one side of dough over onto the other and roll bottom edge over top, pressing with fork tines to make a seal. Slice two small slits in the top to allow steam to release. Bake 12-15 minutes, or until golden brown. Wait to cool, then wrap individually in plastic wrap and place in freezer safe bags. Stick in the freezer to have at hand on a moment's notice. If your child has microwave access, they can choose to heat them, otherwise the hot pockets should thaw by lunchtime. Sandwich cheese between two tortillas, place in buttered skillet over medium heat, flipping and cooking until tortilla begins to brown on each side and cheese melts. Remove to cool, cut into triangles for easy handling. Quesadillas can be made ahead of time and kept in the fridge overnight and eaten either reheated by the school microwave or cool, straight from the lunch box. Add more fillings as you'd like, including pepperoni, beans and vegetables. 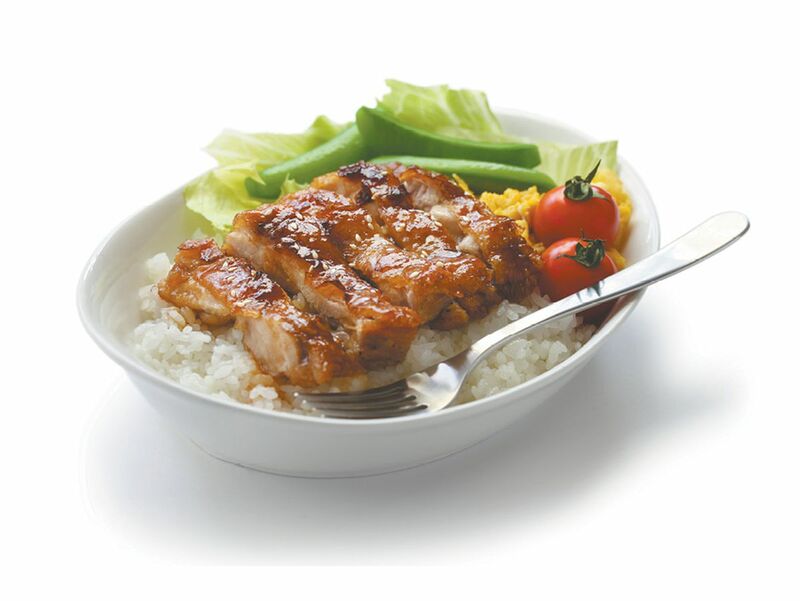 Pound thawed chicken breasts to ¼-inch thick and cut into pieces and place in a plastic bag with teriyaki marinade. Chicken can marinate anywhere between 30 minutes to overnight, so plan ahead as your schedule will allow. Coat bottom of a skillet with oil and place over medium heat, cook chicken, about 3 minutes per side, and remove from skillet. Cook chicken in batches if skillet is small. Once all chicken is cooked, add sauce from the bag into the skillet and bring to a boil to remove contaminants, reduce heat and simmer for a few minutes. Add chicken back into skillet and stir to cover with sauce. Serve over steamed rice with vegetables as you'd like. Can be made in the morning and kept in a thermos or made the night before and kept in reheatable containers. Check with your child's school or teacher to see if there will be access to a microwave and ability to heat lunch. If dinner last night was a family favorite, pack it for lunch for an instant hit! Portions may vary per child—as the school year goes along and your child returns home with leftovers or asking for more, you'll get a better sense of how much to pack. Prepping and packing lunch in advance, even the night before, will help ease chaotic mornings. Scour the town for fun lunch boxes and small food storage containers. Silicone cupcake liners can hold snacks in place and are easy to wash. Cutting vegetables into fun shapes, such as flowers or hearts, using small cookie cutters can make them more enticing to little ones. Include your child in lunch box preparation—it'll take some tasks off your hands and encourage them to finish the lunch they helped pack.